Shavuot is coming soon! How will you be celebrating this year? Shavuot is a celebration of the wheat harvest, and is a wonderful opportunity to show YHVH your gratefulness for all His blessings. Here are some ideas to help you in your celebration. Celebrate outside! What a wonderful way to connect with YHVH’s blessings! Rejoice in His creation together. Take turns sharing what you are thankful for. 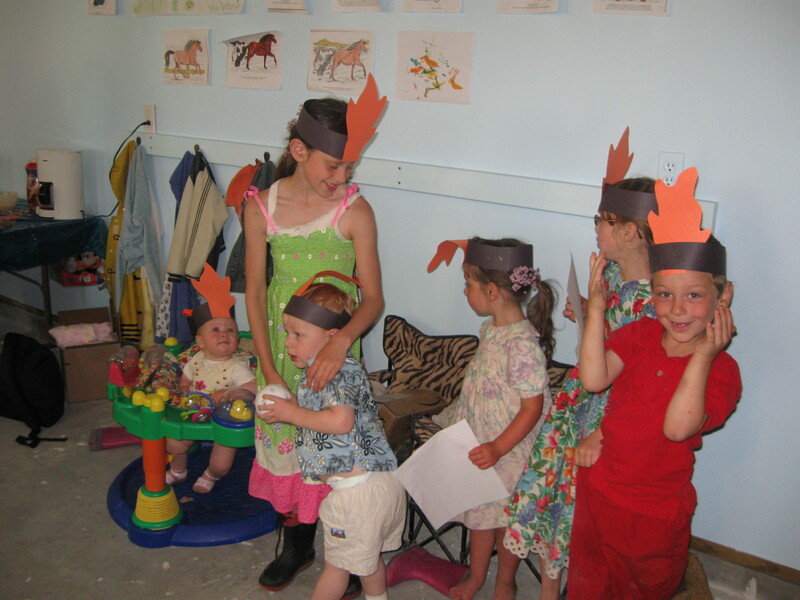 Even small children can express thanksgiving. Read the 10 commandments in Exodus 20. It seems very likely that the 10 commandments were given on Mt. Sinai on Shavuot. You could even do a reenactment with shofars. That’s what we plan to do this year. Make tablets. We have made them of gray construction paper and had the children write Hebrew letters on them. You could also use clay. Use your imagination. Read about Pentecost in the book of Acts. You can also act this out. Give everyone a paper “crown” with an orange paper flame stapled to it. We have done this every year and the children really look forward to it. Make some challah bread to wave. This should be leavened bread, and a braided loaf sure is pretty. We like to wave our loaves outside while we are sharing what we are thankful for. 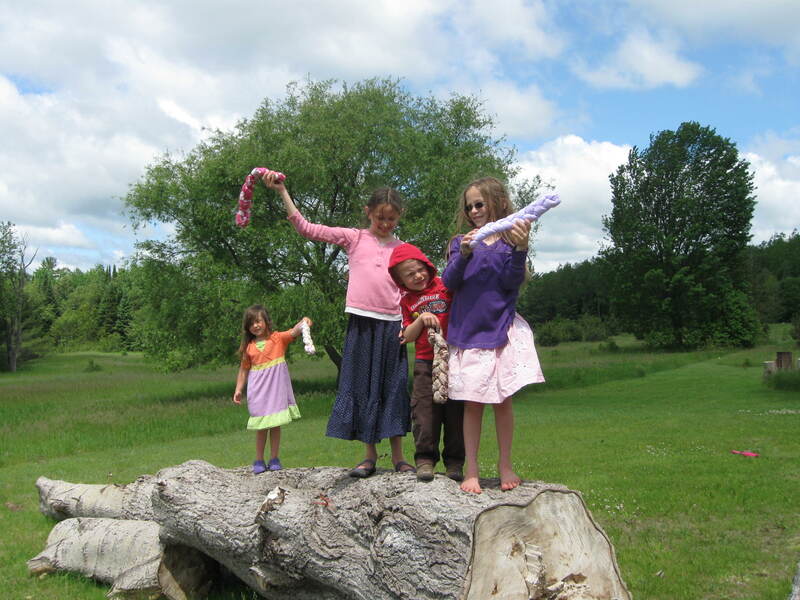 Make some fabric loaves for the kids. You can get the instructions here. Make a Mt. Sinai cake, and let the kids decorate it. You can see pics of ours here. Share your bounty with another family or someone in need. I find it very interesting that the Shavuot description in Leviticus 23 includes the commands about gleaning in the fields. Check it out! Shavuot is a wonderful time to share our blessings with others. Don’t be afraid to make a gluten free bread if necessary. If you read the passage in Lev. 23 carefully, it was given to the priest, not eaten by the offerer. This is another example of practicing the feasts. We can’t do everything commanded because of the lack of a temple and operating priesthood, but we can definitely share these wonderful truths with our children. You can find a gluten free recipe here. Follow Torah Family Living’s board Shavuot on Pinterest. From our family to yours, have a wonderful Shavuot! These are GREAT! And your kids look so cute waving their loaves.